Looking for a different category? Contact us to suggest a new category today! 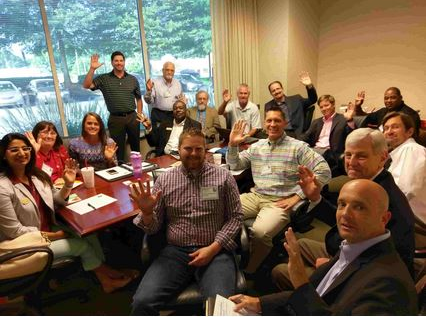 GMA is pleased to provide this unique networking event specifically designed to help build strategic alliances between service providers and manufacturers in Georgia. Come enjoy coffee and donuts and the opportunity to network with industry professionals that service companies in the manufacturing community. This event allows only one person per industry to attend and is designed to build strategic alliances, learn best practices from each other, and exchange ideas. You must be a GMA Member to reserve your industry seat and to be a part of our Monthly Member Spotlight. Business Planning Services - HPL Consulting, LLC. Leasing (Equipment) - Vision Financial Group, Inc. Copyright © 2017 - Georgia Manufacturing Alliance - All rights reserved. v.2.0 - Report a website problem here.